Previous: IS PARTYING ALL NIGHT THE KEY TO FINANCIAL SUCCESS? Ravers Going Their Own Way is the latest social movement you've never heard about. “Thousands of ravers across North America are organizing secessionist groups,” says terrorist expert Joyce Manley. “These ravers have drawn inspiration from the men’s rights movement, whose adherents believe that caucasian males are the most oppressed minority the world has ever seen, victims of a ruthless feminist cabal hellbent on killing all white men. Men’s rights activist argue that the only way for white men to survive is by divorcing themselves from the rest of society. They want to go their own way, and hope to create a world that is explicitly dominated by straight white men, idea which appeals to a lot of ravers." 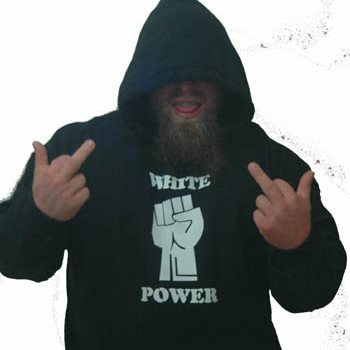 Seth Gooding is the leader of Party Brigade, a white male secessionist raver organization. “We're fed up with being targeted by the rest of society,” says Seth. “We just want to create a world where it’s safe to be a straight white male. As heterosexual caucasian males, we feel oppressed whenever we go to a party. We don't think it’s possible for white straight men to rave in peace anymore. We're fed up with having our rights trampled by feminists and people of colour. We're not going to take it lying down anymore. If the government won't protect us, we'll protect ourselves."